Your home. It’s where you gather with family, celebrate with friends, and begin and end every day. It’s also the most expensive purchase most people make in their lifetime. Making certain home improvements or expansions can be a sure-fire way to raise the value of your home, should you choose to sell or rent it. But home improvements aren’t cheap; they can be a huge expenditure that might require a loan. And not all of them pay off to the same extent. Look at home improvements as more than just beautifying your residence; If you are thinking of home improvements as an investment then you should want to ensure your expenditure is less than quantifiable returns you will earn. Like any smart investment, they can pay dividends. It’s important to go in with a plan; that way, you can determine how much it will add to the value to your home, should you plan to sell or rent. Each dollar spent should add more than the dollar in value to the property. Should we sell or expand? What is the general worth of homes in the neighborhood? Is my house in sellable condition? What will an extra bedroom, family room, etc. do to the market value of my house? Can the people that I hired (to do repairs/additions) do their job well? Once you weigh those options, you have to think about your family’s needs. Will you find friends in another neighborhood? Will more space give you room to do the things you want to do? Where will we be most happy? It’s also important to note that, when you purchase a new property, you always pay more than just the asking price and need to factor that into your calculations. There are several taxes and legal fees that need to be paid, and sometimes, you’ll still need to do some fixing up (even if it’s a new place). These things must also be taken into consideration. What improvements should we spend on? Home improvements are a big expense, so you want to make sure you’re getting a decent return on investment (ROI) out of them. The first thing you should always invest in is home maintenance. A newly finished bathroom or kitchen isn’t going to help sell your house if your roof leaks. Make sure you keep priorities. Curb appeal, or how your house looks from the outside, is also a major selling factor. As for things like granite countertops or marble floors, those work well so long as they’re marketable in your neighborhood. We’ll explain that in this next section. Is there such a thing as over-improvement? Yes, there is. Unless your area is going through a complete economic revival, don’t try to have the fanciest house on the block. You will find (all too quickly) that the return on investment (ROI) will suffer. No matter how much you improve your home, there may always be a glass ceiling created by the neighborhood. 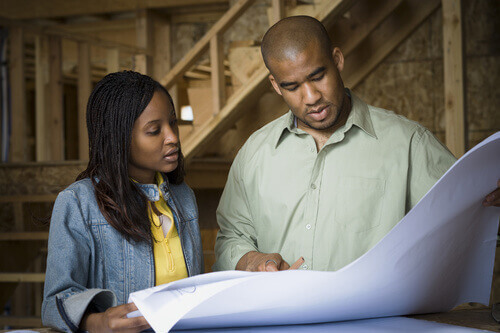 If you’re serious about treating home improvement as an investment, taking out a loan may be for you. Even small repairs can mean a massive boost for the overall worth of your home. But please remember, if your intent is to treat it as an investment, then the projected increase in value needs to be greater than the cost of loan. Or talk to our representatives. They’ll be able to help find the right loan solution for you. A great way to make strong ROI on your home is to rent it out. Renting out an additional room or flat can be a great way to make money. You could get someone looking for a permanent spot, or rent out to travelers (as AirBnB does). Some people even pay their entire mortgage by doing this. Attractive pictures: When showing off on an AirBnB or other renters websites, having high resolution pictures of a clean, bright room can make all the difference. Vet guests carefully: Make sure that you like and trust whoever is living with you and your family. Otherwise, it can make for very uncomfortable living situations. Set clear house rules: Not everyone has the same idea of things like “clean” and “quiet”. If you have a sizeable outdoor area, you can always rent that out for functions, as well. You can also rent out your entire home, and then go and rent somewhere else yourself. However, if this is the case, please make sure the rent you receive is much more than the rent you are paying. 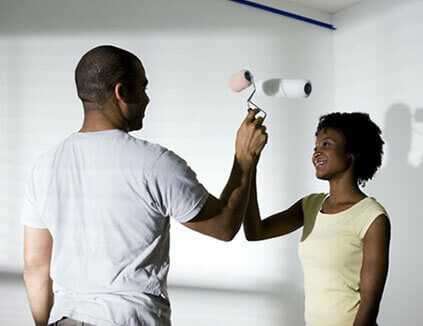 Thinking of taking out a home equity loan?